Has completed school to the end of the year they turn 17 years or meet school leaving age requirements (unless doing an approved school to work transition program). Has a current Employment Services Assessment (ESAt) or Job Capacity Assessment (JCA) - Eligible Students with a disability that directly register with BIZLINK may be exempt from an ESAt or JCA. Is motivated to work and/or to develop skills to become work ready. Is willing to accept support and assistance from BIZLINK. Is supported by their family (or significant other), where involved, to secure and maintain employment. Can travel independent from BIZLINK (following transport training if required). 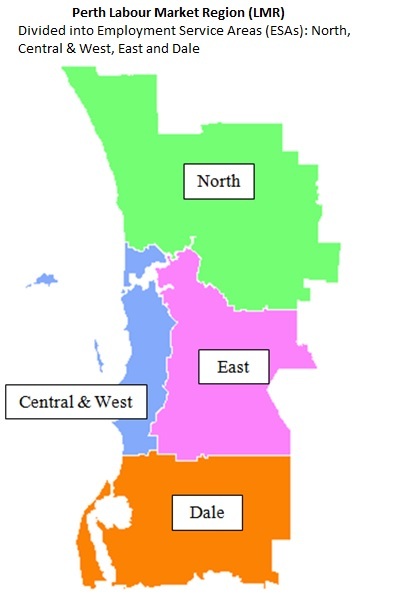 Lives in the BIZLINK Employment Service Area of Central and West Metro Perth or North metro. Job seekers can choose BIZLINK if they live in a neighbouring Employment Service Area in the Perth Region if BIZLINK is the best provider to meet their needs. For instance, lives in Armadale (East) could access our Cockburn Central site. 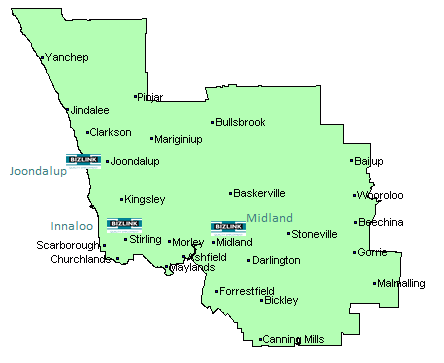 Lives in Mandurah (Dale) could access our Rockingham site. BIZLINK welcomes calls to discuss registering. We may be able to directly register or can provide advice on what is needed to access a Disability Employment Service that is right for you. BIZLINK values your choice and individual decisions about your career. The friendly and professional staff at BIZLINK will talk to you about your skills, abilities and interests to assist you to develop your Job Plan - this plan considers your individual needs and lists the services and assistance needed to secure and maintain a job. For people with an eligible income support payment, your Job Plan also helps you to meet your mutual obligation requirements. Finding a job that matches your skills and interests. Gaining work skills through work experience and courses as agreed on your Job Plan. Advice about recreation and social activities. Learning work health and safety procedures. Performing your job to your employer's expectations. Becoming part of the team where you work. A Traineeship or Apprenticeship if you are eligible and that matches your career goal. Modifying the workplace or buying special equipment if required and approved by JobAccess. BIZLINK can assist you to learn your job and feel comfortable at work by providing support that meets your individual needs. This may include on-the-job training, off-site support, guidance, encouragement, advocacy and linking you with other services. BIZLINK can assist you to become part of the team and to meet your employer's expectations. Has been assisting people with a disability into open employment, including Traineeships and Apprenticeships, since 1992. Employs a team of professional Coordinators dedicated to assisting you. Has an established and growing network of employers including large, medium and small businesses; State, Federal and Local Government. Works closely with jobseekers, their support network and employers. Strives to find a job that meets the individual’s needs.